I really didn’t want to get drawn into the phonics debate. 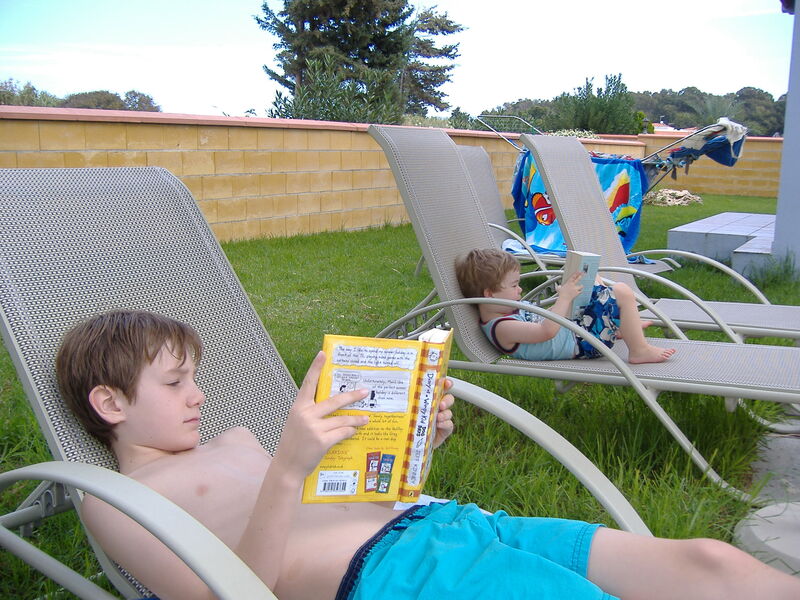 I have smiled indulgently as Secondary Maths teachers and Boarding School History teachers have pompously told primary specialists how to teach children to read – much in the same way as I do when my Dad shouts advice to the England manager from the sofa. It’s irritating but essentially irrelevant as these people will never actually have to teach a child to read/manage the England squad. But when primary literacy co-ordinators start to weigh in with the view that words like ‘going’ follow phonetic rules, I start to think that the world has gone mad. Deleuze, the philosopher, said that our opinions are the umbrellas that protect us from chaos, but some of this lot are marching down the street poking everyone in the eye with their spokes. It’s time to speak out. The hysteria has reached fever pitch on twitter. Academics who have dedicated their whole professional lives to understanding the very complex process of learning to read are denounced as….wait for it….Phonics Deniers…as if they are a danger to the future security of the world. PhPhS. As far as I can see, the worst that any of them has ever said is that ‘there’s more to reading than phonics’. Blimey, let’s burn them at the stake. Don’t get me wrong here – I like a bit of synthetic phonics – I used to enjoy little 20 minute sessions of Jolly Phonics – I saw it as akin to learning to ride a bike with stabilisers on. It’s a way of making children feel that something that is actually quite hard is manageable. They can develop some skills like pedalling and steering so it’s easier to do the hard part later. But at some point the stabilisers have to come off. 2. Realise that there are these really interesting things called books…and that the pages are turned in a certain direction and the text runs in a certain direction (which often requires an adult who will read to you a lot). 3. You’ll find out that books come in quite handy during a long stint on the potty. …we all read in my family and our house is full of books. By the time I get to school, I am ready, almost desperately ready to read….and now I can! The first step to reading is not Phonics, but access to books and role models to read to you and in front of you and for whom reading is clearly a pleasure. The first steps involve talking and building vocabulary and knowledge about the world so that when words can be read, they can be understood. They are the first steps. Then….phonics is helpful. Certainly, I’d say that children enjoy it – it’s not a chore, and my son has liked coming home and telling me the difference between a digraph and a split digraph. But I suspect, like his older brothers did, he’d have learned to read without phonics because he’s been immersed in text all his life. But what of children who are not? 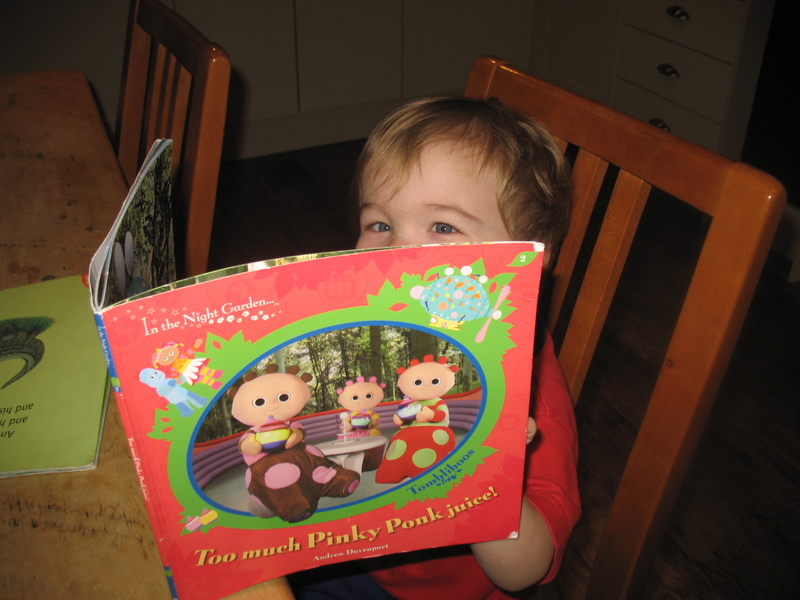 High quality Early Years education will build a love of books, of rhyme and of narrative. It will build vocabulary and knowledge of the world. It will make reading as exciting as bouncing. It will whet the appetite – that’s what the first steps do – create the desire to read. And this needs to be continued in school. 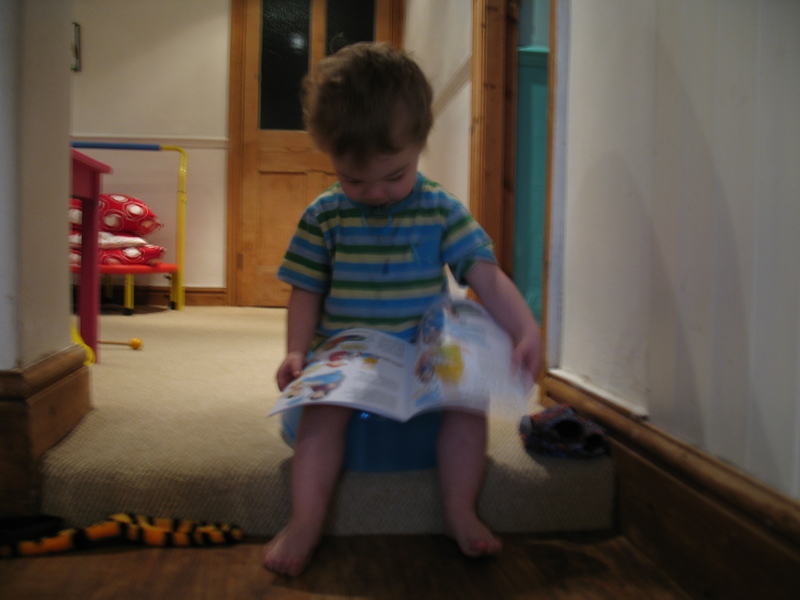 He comes across a word – ‘going’ and his phonics knowledge initially tells him that the word is /g/oi/ng/ – like boing. There is some debate about whether or not the /ng/ is a single sound, but let’s leave that for now. The point is he hesitates – he has pre-existing knowledge of vocabulary and he self corrects – going. This is not a decoding skill, it is a vocabulary skill. He goes a step further – writing the word down, he recognises a morphemic pattern – a base and a suffix and draws a line between the two. This is a whole lot more sophisticated than implementing a decoding skill. Phonics alone would not have got him to the correct pronunciation of the word. One twit(ter) user today suggested that going WAS phonetic and then proceeded to set it out as /g/oa/i/n/g . Go figure. Anyway, the point is that if you are keen on phonics, that’s fine and dandy, but remember to take the stabilisers off. Remember that the biggest job ahead of you is navigating the anomalies of our language – many of which can be broken down by understanding morphemes and etymology. Remember that readers read better when they love to read. Loving books is as important as being able to decode them. And, bear in mind the warning from E.D. Hirsch on the perils of the core testing of reading. He states (time and again actually, but no-one seems to listen) that spending time teaching children reading comprehension strategies in preparation for a test is almost useless if they don’t know what the words mean. 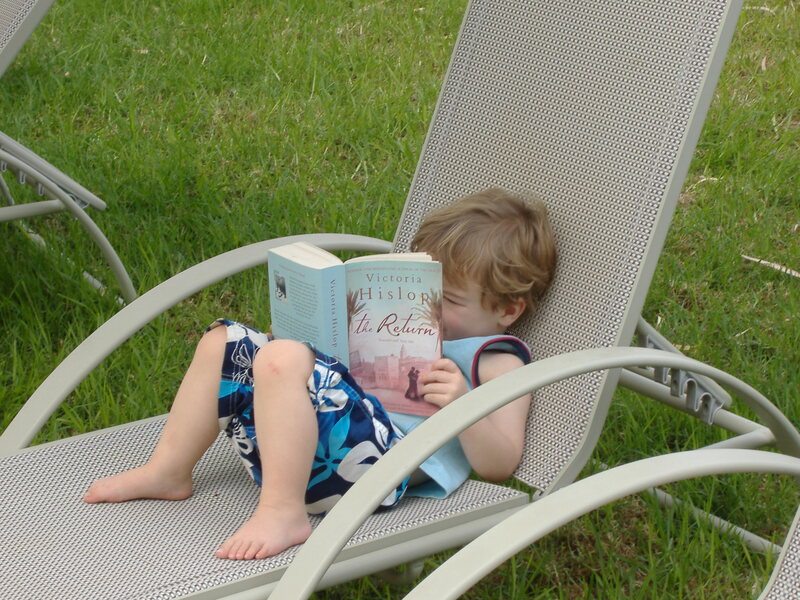 Immerse them in wonderful, knowledge rich texts where they learn about the world. I’d contest the idea of a core curriculum as such – the subject of another blog perhaps – but rich knowledge, imaginatively pursued is every child’s right. 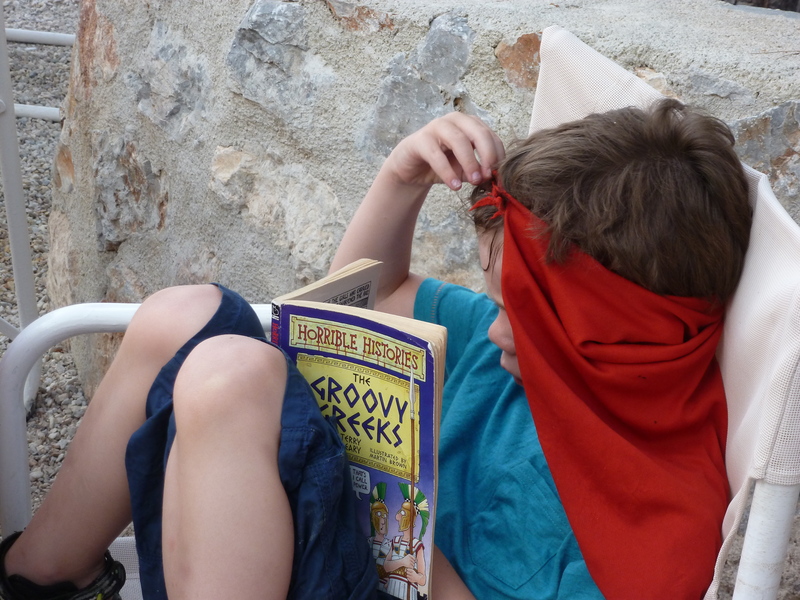 Teach them in ways that have them racing to find out more – check out @imagineinquiry’s scheme of work on The Romans to see how to do this superbly http://www.imaginative-inquiry.co.uk/2013/08/planning-for-the-romans-ks2-curriculum-2014/ because knowledge need not be dull. Right. Perhaps I should batten down the hatches now. Thanks for your blog Debra. Firstly, I’m not an expert on teaching children to read. However, I have just been reading ‘Learning to Write, Reading to Learn’ by David Rose and Jim Martin and much of what you are saying is echoed in their chapter on reading to learn. They identify 4 different reading levels, one of which is decoding. They place more emphasis on the importance of 1) identifying literal meanings within sentences 2) inferring meanings by making connections with other parts of the text and 3) interpreting events from experience. ‘For children in literate.. families… learning to read begins with their parents guiding them to identify, infer and interpret meanings, long before they learn to decode letter patterns. The process begins with parents talking through the pictures with children, guiding them to identify elements in the pictures and discussing the field of the story.’ Understanding and using phonics to read is just one part of a much bigger picture. Don’t batten the hatches, fire those guns. Phonics teaches the skill of decoding, it doesn’t teach you to understand the subtleties of the message. You are so right that you need to be immersed in the world of books / text / words. We need phonic knowledge, etymological knowledge, lexicography and context. Trust me I am about to teach a group of new to English kids that the witches “drew an armed head out of the cauldron”. Blimey you really are a heretic. I am no expert in teaching kids to read but I can recognise heresy when I see it. Firstly you question the “phonics denialist” ranting of those who do not even work teaching children to read, then you do the phonics denialism itself by suggesting that phonics can be excellent as part of a broad approach but doesn’t need to be taught first and only. To compound these felonies you then go on to explain why phonics doesn’t have to be first and only and to cap it all you suggest that children will learn to read most effectively when they enjoy it. You actually have the cheek to suggest that learning and fun might go hand in hand. I won’t even mention the fact that all of the research since the 1960’s shows quite conclusively that phonics first and only is the most effective approach, and that’s a fact. I read it on the internet. Who are these ‘phonics denialists’? In several decades, I have never actually met one. I think they are a red herring, dreamt up by the ignorati who have turned synthetic phonics into a quasi religion and are only capable of perceiving the world as consisting either of ‘phonics’ or ‘whole word’ people. The video you cite is an example of the analytic phonics approach that has been used in US elementary schools for decades. My son benefited from it 35 years ago, as we moved to the States after he had had a year of UK ‘look and say’. It seems to me a much more rounded and adequate approach than ‘synthetic phonics’ because it pays more attention to analysis of word structure and common letter-blends, as shown in the video. I think I am a little lost in your phonics discussion. I was looking for a good phonics program and I think I found one, but your discussion is a little deeper than I ever thought to go. Is there a good home phonics oriented program, the one I saw was at the website I will put below. Well here http://kidsreadinghub.com But really – what is a “phonics denialist” ? A Phonics Inquisition ? Not sure about that, but it seems to me that anything that we make fun and engaging will get the best results because there will be a desire to get to the next level.